This week in Reading, we read “Seek the Sun” to begin Unit 4 in our ReadyGen Reading Series. This unit focuses on facing challenges and change. We will work on identifying characters’ responses to events and challenges and finding the main idea within a text throughout this unit. In Math, we worked on three-digit addition and subtraction with regrouping. We ended the week doing a math mystery to review concepts previously learned. In Writing, we finished our Poetry Unit. Students wrote shape poems, acrostics, cinquains, and couplets this week. Remember to come on January 31st at 10:45 a.m. to see students present their poems! In Shurley English, we identified prepositional phrases in sentences. We also worked with singular/plural and common/proper nouns. In Phonics, students learned about r-controlled vowels. In Spelling, we focused on long u words. In Cursive, students learned an i, t, u, and w.
In Religion, we prepared for our second grade-led All School Mass, which was on Thursday. The theme of the Mass was kindness. Students did such a wonderful job! In Science, we reviewed and took our test on Unit 4, All About Plants. Students did a great job showing us how much they learned about plant parts, plant needs, and plant life cycles! We will continue with another unit of Science next week; Unit 5 focuses on environments for living things. 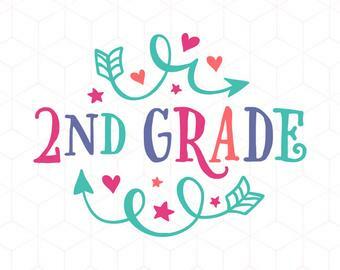 This week’s newsletter secret is: 2nd Grade rocks! There is no school on Monday, January 21st. We have 8:00 a.m. “E” Day Mass on Thursday, January 24th. Open House Mass is on Sunday, January 27th at 9:30 a.m. to begin Catholic Schools Week. There is an Open House to follow from 10:30 – 12:30. We would love to see you and your family stop by! A schedule for Catholic Schools Week will be coming home the week of 1-21-19. Our Second Grade Poetry Reading is on January 31st from 10:45 – 11:30 a.m. Please join us! A flyer was sent home and e-mailed out with additional information earlier in the week. There is a mandatory First Communion Parent Meeting on Thursday, January 31st from 7:00 – 8:00 p.m. Doors will open at 6:30 p.m.